We are excited to announce that five new ambassadors from the Frankie Manning Foundation scholarship program will be joining us at Beantown Camp this year! Kristan from New York, Justin from Rhode Island, Markus and Trendylon from Maryland, and Ruchi from Mexico. In addition, four of our past ambassadors, Josh, Rafal, Alexis and Cyle will all be back this summer. We are thrilled to work with the Frankie Foundation for our 3rd year with this excellent program. Extra thanks for the contributions from Beantown campers and the Frankie Foundation to help our efforts to bring back the returning ambassadors. Please be sure to join us in welcoming both our new and past ambassadors to Beantown this year! Only 2 Weeks Until Beantown Camp! If you are planning to attend and have not yet completed a registration or an Endicott reservation, it would be a huge help if you get your registration and full payment in ASAP! There are packets to assemble and the college has rooms to prepare. We want your complete camp experience to be smooth sailing from the moment you arrive and the more we can do in advance, the easier for us to make that happen. Join us for our 18th year! Camp runs from June 26 to July 3 with multiple registration options. 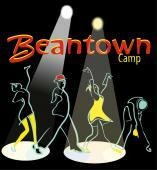 Start your summer off right with a dance vacation at Beantown Camp! Read more about Only 2 Weeks Until Beantown Camp! May 26 marks one month until opening day for Beantown Camp 2014! We are so excited for another opportunity to share the Lindy Love! We’ll be remembering Frankie and the special place we hold for him in our hearts. Norma Miller will be back as well as an incredible lineup of 36 instructors, the Boilermaker Jazz Band, Campus Five, Gordon Webster, and so far campers from 4 countries and 26 states! This will be Beantown’s 18th year and there is still time to join in. The Early Bird Discount for camp registration expires this Wednesday, April 30. Join us for an amazing dance vacation! Beantown is known for an incredible learning experience, friendly dancers, beautiful environment, tons of fun, and a wonderful positive spirit! Camp runs from June 26 to July 3 with multiple registration options. This will be a phenomenal year to come to Beantown. If you’ve never done the full week, do it now and you’ll be glad you did! Beantown is known for excellent instructors and classes, and this year has all that! Besides 6 levels of Lindy Hop tracks, each day brings a wide array of additional classes to choose from. Blues is not new to Beantown, however, what is new is that Dan & Jenny, two of the most popular Blues instructors, will be doing all 6 of the Blues Mini-Track classes. In addition, Dan will be hosting a Swing & Blues dance during the weekend. Eric is an outstanding instructor, encouraging and welcoming to all levels of experience. His style is more Urban Contemporary and his routines are challenging, musical and a lot of fun. If you have never taken a class with Eric, be sure you do! Besides the routine Mini-Track, he will be teaching several movement classes. Jon has been delighting and entertaining us with his dancing for the last few years and this year he is excited to be teaching the Jazz Routine Mini-Track. This promises to be a very fun class as well as an excellent way to work on musicality, rhythm and individual dance skills. The Balboa Mini-Track has 6 progressive classes starting with the basics. This is an excellent opportunity to learn from some of the top Balboa instructors. It is not only a great opportunity to build a repertoire, but also to work on styling, technique and the essence of Balboa. These two Mini-Tracks will have a variety of instructors including Gaby Cook, Skye Humphries, Bobby White, plus Dan Newsome & Lainey Silver. Each class will be unique and an excellent supplement to partner dancing. But wait, there’s more! Late afternoons offer more options to choose from. The last day for the Beantown Early Bird Discount prices is coming up quickly on Wednesday, April 30! If you have submitted a registration but not made the payment, we need to receive it by April 30 to get the early bird prices. There is still time to pay with the 3 month installment plan if you register by April 25. Come to Beantown for an amazing week of classes, socializing, entertainment and fun! Camp runs from June 26 to July 3 with multiple registration options.